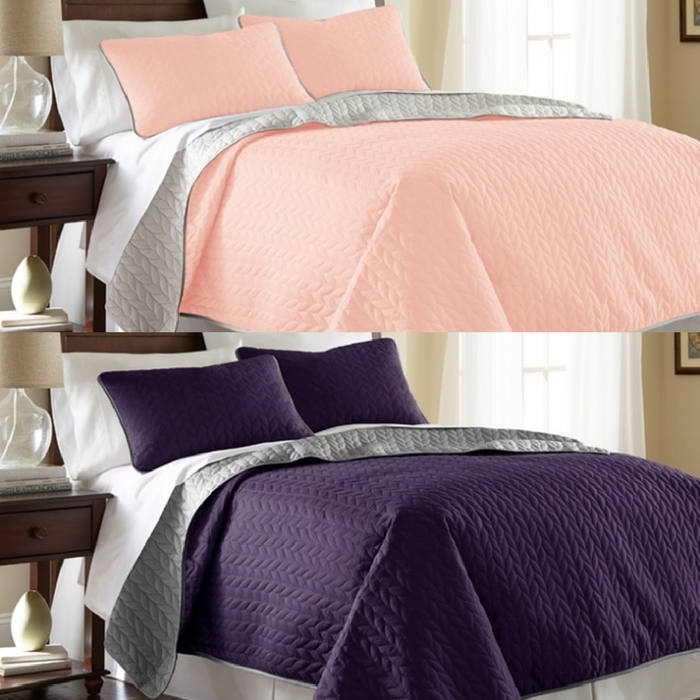 3-Piece Solid Reversible Coverlet Set Just $24.99! Down From $65! You are here: Home / Instagram / 3-Piece Solid Reversible Coverlet Set Just $24.99! Down From $65! If you are looking for a super soft, good quality coverlet then check this out! Head over to Groupon where you can score this 3-Piece Solid Reversible Coverlet Set for just $24.99 down from $64.99 PLUS FREE shipping for orders over $35! This supersoft, reversible coverlet set has a solid color and braid-like leaf pattern! I love the colors available and they would be great for master bedrooms or at guest rooms!